Both SIRI and XMSR have been profitable short positions for 2006. Eventually, the shorts will have to cover, but when will it all begin? Will it be at CES when new product announcements and subscriber additions take center stage, or at the Auto show when new partnerships are disclosed? I'm not sure what the catalyst will be, but for those who were expecting a short covering rally this week, you will just have to wait. "IRS-sensitive" investors are likely to close out their profitable trades in early 2007 rather than in late 2006. By delaying by just one trading day, they are able to defer the payment of taxes on these profits for a year. Due to an error on our part, we are requesting that those that were interested in the New Years greeting form Evil Dave Letterman send an e-mail to satellitestandard@gmail.com with your information again. Our original web form had an error, and we have no way to contact those that applied. We have corrected the issue, and want to be sure that those who were interested get a chance to participate. Our apologies for the error and confusion. For those who may still be interested there are still a few slots available. Simply go HERE and fill out the appropriate information, or send an e-mail with your name, e-mail, recipients name, and recipients phone number. The slots are available on a first come first served basis. If you listen to Howard Stern, you have likely heard of the guy known as "EVIL DAVE LETTERMAN". This man has a voice that is exactly like Dave Letterman's, and has the persona of the "REAL DAVE LETTERMAN" down to a "T", including the laughs and chuckles. Satellite Standard Group has arranged for a limited number of people to give the gift of a phone call from "EVIL DAVE LETTERMAN". For $42.50 you can have "EVIL DAVE" call anyone you desire and give a News Years greeting complete with Dave Letterman type humor. This is not a pre-recorded call....This is a LIVE CALL that includes interaction with "EVIL DAVE LETTERMAN". We were able to reserve slots for 25 New Years greetings with "EVIL DAVE", and they will be filled on a First-Come-First -Served basis. This can be a gift or a gag that is sure to get laughs from the recipient, and is something unique that is sure to be remembered. This is a unique chance to give that friend, loved one, co-worker, or emplyee(s) a gift that will start off the New Year with laughter. Make 2007 special for someone. To participate simply fill out the form below. We will e-mail the first 25 people back with payment instructions (paypal) and a confirmation of the details. Submissions must be made no later than Saturday morning at 9:00 AM Eastern. It may take a village to raise a child, but that’s a trivial task compared with the act of bringing a new electronic gadget to market. Marketers determine what the masses want, product managers guide the design, engineers bring the thing to life — it’s a lot of cooks. No wonder so many people across the country are, at this very moment, staring at newly unwrapped electronic holiday gifts in utter bewilderment. Even so, brilliant ideas sometimes make it off the drawing board, past the layers of lawyers and onto store shelves. Sometimes, a delicious idea is part of a triumphant overall product. Other times, the flash of greatness is wasted on a turkey. ...A RECORD RADIO BUTTON Samsung Helix is a regular music player, like an iPod (though smaller). But it’s also an XM satellite radio receiver. That’s already a good idea, but here’s the clincher: When you hear a song that you like on one of XM’s 70 themed, ad-free music channels, one button-press records that song from the beginning — even if you were a little late hitting record. In all, this gadget can hold about 25 hours’ worth of recorded radio. Talk about upping the "page load" ante...Motley Fool has had so many articles about Sirius and XM recently that I can barely keep track. Mostly, they say the same thing, altermating positive and negative commentary. I guess their staff knows that these widely followed stocks will generate the clicks! Ford Motor Co. is hoping an effort with Microsoft Corp. to bring much of the connectivity of a personal computer into a car's cockpit will spruce up its U.S. product portfolio. If you are involved in satellite radio you are likely well aware that there are many outlets from which to express your ideas, or discuss these companies. We here at SSG were recently contacted by a group that is launching a new form for those interested in chatting about Sirius Satellite Radio. The new form is called Sirius Uplink, and the site is crisp clean and new. Anyone can read the forum content and members can post. Joining the forum is easy and straight forward, and the site is easy to navigate. Those invested in the satellite radio sector are well aware of the RIAA, what it represents, and the issues surrounding how the RIAA impacts the music industry. Currently the RIAA has a law suit filed against XM Satellite Radio for the popular Inno device. The suit with XM seeks $150,000 per song downloaded onto each Inno, and the implications of that suit can be huge, both financially and in precedent. Satellite radio is not the only company facing the RIAA lawyers. A Russian based down-load service caller All-Of-MP3 is also in the crosshairs. Today in Wired News, there is an article about this very subject and how All-Of-MP3 is fighting back. All-Of-MP3 cites that their service complies with Russian law, and thus the RIAA has no standing in their suit. AllofMP3.com sells non-DRM downloads and charges roughly one dollar for albums and only a few cents for individual songs. The U.S.-based iTunes Store on the other hand sells DRM downloads at ten dollars an album and one dollar for songs. The RIAA’s lawsuit against Media Services, owner of AllofMP3, claims the website is an illegal service and infringes on copyrights owned by the RIAA’s members. The RIAA alleges 11 million songs have been “pirated” using AllofMP3.com. The RIAA lawsuit seeks $150,000 in damages per violation, which puts the total at over $1.65 trillion, which, as some have already pointed out, is just slightly less than the Gross National Product of Great Britain. Satellite radio investors will quickly see that the $150,000 figure in this suit falls right in line with the damages sought from XM Satellite Radio. Because this issue has direct ties to Sirius and XM, we would suggest that investors keep up to date with the various suits in play. As you can see, the RIAA is not fooling around, as the damages sought are more than the GDP of many nations!!!! Think about it...Sirius bonds are trading near par. This would not be the situation if bankruptcy were looming. After speaking to a few fund managers, the stock sell-off is most likely related to year-end tax loss selling. Additionally, managers do not want to get caught with losers in their portfolios when they disclose holdings to investors at year end. Thus, a common strategy is to load up on the winners, and sell the losers, more commonly known as "window dressing". I suppose the best part for investors is that this year is almost over! A couple of blogs have jumped on the bandwagon discussing a Sirius bankruptcy, claiming that this would be the only option to get out from under the debt load. Despite scant credentials, these bloggers, who are certainly entitled to their opinions, seem to influence traders in a market where momentum rules. Perhaps these guys don't understand the satellite radio subscription model. The business is based on the highly successful cable and satellite TV and cellular carrier formats, which started out in exactly the same way, very high upfront costs, high debt, and significant competitive threats, until they became profitable. It's certainly been a disappointing year for investors in the sector, but, unless there's something that I'm missing, bankruptcy does not usually immediately proceed CFBE. If you are not going to be at home to listen, you can schedule recordings on your Stiletto! 6 '60s VibrationsThe Beach Boys LIVEJanuary 1 @ 12:30 am ETCatch the legendary band LIVE from the Luxor Theatre in Las Vegas. See times. 7 Totally '70sThe DY-NO-MITE Satellite SurveyDecember 30 & 31 We're counting down to 2007 with the 40 grooviest party songs of the '70s! And don't forget to join Magic Matt and his celebrity friends for a totally groovy bash to ring in '07 '70s style! See times. 10 The Who ChannelThe Who in ConcertDecember 31 @ 9 pm ET Catch this July 2002 show from The Gorge in George, WA. See times. 13 Elvis RadioBill Rock's New Years in VegasJanuary 1 Elvis Radio’s Bill Rock hosts five hours of the King’s Las Vegas concert performances. Plus, don't miss Elvis’ celebrity friends who drop by to say "Happy New Year!" See times. 17 Jam_ONString Cheese Incident and Galactic performaces, LIVEJanuary 1 Jam_ON has TWO concerts for New Year's Eve: first, we're broadcasting Galactic's show from Tipitina's in their hometown of New Orleans, LIVE at 12:30 am ET. Then, at 2:45 am ET, we'll have String Cheese Incident, LIVE from the Concourse Theater in San Francisco. See times. Bridge Ratings' trending of Satellite Radio subscribers continues through 2006. The purpose of this on-going study is to analyze consumer preferences related to satellite service brand and satellite radio in general. This report represents an overall view of the sector based on our year-long interviews. 1. All retail, including satellite radio, did not live up to expecations going into the Christmas holiday weekend. Retail sales overall were up 6.6% compared to an 8.7% increase during the same period in 2005. 2. Satellite radio sales for the quarter are down 40% compared to the same period last year. However, these comparisons to the phenomenal growth spurt during Q4 of 2005 put into perspective the impact of Sirus satellite radio's Howard Stern push. 2005 fourth quarter subscriptions for Sirius hit 1,142,000 and XM brought in 898,315 new subscribers for a total sector Q4 205 tally of 2,040,315. Q4 2006 projections now estimated to be 1,224,189. I call this "dodging bullets"...if you want to take the time to listen, scroll to 27 mins, 30 secs, to hear his negative comments on SIRI and XMSR. I wonder if Tom is related to Doug McIntyre of wallst24/7, a persistent bear on satellite radio. NEW YORK, Dec. 27 /PRNewswire-FirstCall/ -- SIRIUS Satellite Radio and Cosmopolitan magazine today announced that Cosmo Radio will kick off 2007 with a special New Year's Day marathon broadcast hosted by Cosmopolitan's very own bedside astrologer, Hazel Dixon Cooper, who will offer predictions for love, life and more in the year ahead. The all-day "star-studded" special will air Monday, January 1, 2007, from noon to midnight (12:00 pm ET - 12:00 am ET) exclusively on Cosmo Radio, SIRIUS channel 111.
question: Is this a match made in heaven or hell? The go-to spot for fun, fearless females, Cosmo Radio features the same smart relationship advice, beauty and fitness tips, health news and entertainment that has earned the magazine its iconic brand status. I learned this morning of the passing of the 38th President, Gerald Ford, on my morning drive. First and foremost, SSG would like to extend condolences to the Ford Family and to join the nation as we honor the life and works of President Ford. Ford was a healer and a decent man who brought the nation together at a time when divisions seemed to big to overcome. While at that time some of his decisions were not viewed as popular, the years that have passed have proven beyond a doubt that Ford made the correct decisions for the nation. I could have caught this news anywhere, and on virtually any radio station, and I would have had the basic facts. I caught this news on Fox News via Sirius Satellite Radio. Events such as this always make me appreciate satellite radio even more. Because I have satellite radio, I can tune to several NATIONAL BROADCASTS to get varied opinion as I navigate my way on the highways. This is something that terrestrial radio simply can not match. The Fox News coverage, or any national news outlet, has the best access to special guests that can comment on subject matter. I got to hear from people that were close with or worked with Ford during the 60's and 70's. I heard from Richard Nixon's brother, and I truly appreciated getting that type of analysis. Sure, my local radio would have carried the news, but they likely would not have access to the guests that a Fox or CNN can deliver. Once at my destination, I could also tune in a television, and not miss a beat from what the news was covering, again, something that traditional radio could not offer. Sometimes it takes an event such as this that makes someone appreciate the little things that we might otherwise take for granted. Having been a subscriber to satellite radio for years, I sometimes forget how much I utilize the national news broadcasts on satellite radio. Subscribers or CFBE - Which Carries More Weight? Christmas has passed, and New Years is fast approaching. At this time last year all of the chatter was about how many subscribers Sirius and XM were going to announce at CES. In fact, there was also a lot of chatter about CES. This year differs, and that could perhaps be very good news for the sector. The attention to subscribers and hype of new products has shifted to the financials, and is a sign of a maturing company. Lowered subscriber guidance from both satellite radio companies took the shine off of that category, and expectations of investors seem to indicate that both equities will hit their respective ranges. In the third quarter of this year both satellite radio equities were able to announce narrower losses, and it looks as though that may well be the beginning of a new trend for the sector. The fact that people are now anticipating this, as well as Cash Flow Break Even (CFBE) means that these companies need to perform well in these areas. Investors need to have confidence that the business model for satellite radio is not a cash drain, but a cash creator. Both Sirius and XM have publicly announced that they anticipate reaching CFBE this quarter, but as with many things, there are differences in what the statement means. Sirius anticipates CFBE with the inclusion of capital expenditures. XM anticipates CFBE with the exclusion of capital expenditures. True CFBE falls in the method Sirius is using, but that should in no way take away from what XM is stating. Part of XM's capital expenditures tie to payments for their recently launched satellite, and thus the CAPEX for XM has a substantial impact that will not be seen in future quarters or years. For their part, Sirius has plans of launching a satellite in a bit over a year, and there will be financial impacts as that date approaches. However, Sirius will have the benefit additional subscribers and revenue at that point, and thus should be able to maintain CFBE. Both companies are sitting in good positions in terms of CFBE. Investors should be aware that CFBE does not mean profits. Profits typically follow CFBE by 12 months to 18 months. CFBE does mean that the company can operate without having to borrow money or dilute the stock. This should be a welcomed event for this sector, and goes a long way towards proving the viability of satellite radio. Whether you are invested in Sirius, XM, or both, these financial metrics will go a long way in showing that the sector as a whole can do well. Does all of this mean that subscriber no longer matter? NO. The subscriber numbers will still be watched. There is a lot happening with satellite radio, and the financial metrics are closely tied to subscribers. It is very important that these equities continue to gather subscribers, and illustrate growth in this category. Subscribers mean quite a bit, but it is now that investors are beginning to look at what a subscriber truly means to these companies. Capture streaming video and audio from Windows Media(TM), Real(TM), Flash(TM), Shoutcast(TM), iTunes(TM) Radio and other formats. -- Record Sirius(TM) and XM Radio(TM) Online. Dusting off the good ole crystal ball, Unstrung editors look ahead with bold and unflinching predictions for wireless technologies and companies in 2007. All predictions guaranteed accurate or your money back! The chief executive of Ford Motor Co. met with the chairman of Toyota Motor Corp.<7203.t> as the first step in potential partnership negotiations, the Japanese business daily Nihon Keizai Shimbun said on Tuesday. The newspaper reported in its online edition that Ford CEO Alan Mulally and Toyota's Chairman Fujio Cho met last week. The meeting was also attended by Ford Executive Vice President Mark Fields, who is in charge of restructuring the automaker's loss-making North American operations, the newspaper said. The newspaper cited unnamed sources familiar with the talks as saying that Ford was interested in Toyota's hybrid and fuel-cell technologies as well as its work in reducing manufacturing and parts procurement costs. I did not get satellite radio for it's sports programming, nor could I grasp the demographic of the person that would. From a marketing perspective, I thought the co-branding opportunities were significant, but I, personally, never turned my dial to listen to any games. Yesteday, I was invited to a friend's home. When I walked in, even though the TV was on, all the guys were sitting in front of a Sirius receiver LISTENING to a football game. I was totally amazed. I asked why they were listening to the game on radio rather than watching it on TV. They responded that the game that they were interested in was "blacked out" and not available on TV. I asked how they were able to visualize the plays from listening to a radio announcer. They said that announcers on radio are able to capture the game in words that convey the actual plays. Perusing satellite radio message boards, I have seen comments by posters questioning the viability of sports on radio when games are available on TV. Now I totally get it...for those who don't want to pay gobs of money for the cable or satellite TV sports packages, want to have access to a variety of games, or if their game has been blacked out, satellite radio is a great option. Another reason given for listening to sports on satellite radio is that these guys are sensitive to being catagorized as "couch potatoes". If they listen to sports doing chores in the yard or in their cars while running errands, rather than sitting in front of a TV, they find that their wives are less likely to complain. I had extensive conversations with these guys over the course of the afternoon, and now I think I understand! 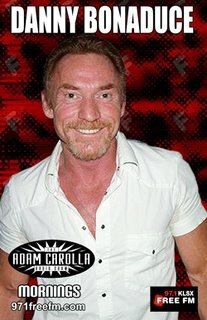 Danny Bonaduce has made his choice. He chose the form of radio that existed in his glory days with the Partridge Family instead of the format that would let him express himself in a manner that fans have come to expect. With satellite radio available, it always makes one scratch their head when an edgy talent such as Bonaduce makes a conscious decision to tie their hands in the form of their expression for the dollars being offered by content challenged terrestrial stations. The wave of the future of radio is with satellite, and those that establish a foothold in the satellite radio medium now are at a bigger advantage in the future. Best wishes Danny. Fresh off the season two conclusion of the hit non-scripted cable television show, Breaking Bonaduce, Danny Bonaduce will join THE ADAM CAROLLA SHOW as a featured member of the morning drive program (6-10:00AM, PT) beginning on Tuesday, January 2, 2007. Broadcast live out of the showÂs flagship station, KLSX-FM in Los Angeles, THE ADAM CAROLLA SHOW is carried on six CBS RADIO stations on the West Coast, and syndicated to a host of additional stations. The four-hour program also features Teresa Strasser in the studio. "If you asked me why I wanted to join AdamÂs show, my first reaction would be to say poverty," said Bonaduce, "followed quickly by the fact that IÂm a big fan and have a lot of respect for his work. ThereÂs nothing quite like doing live radio especially with a veteran like Adam. Having done his show in the past I know that there is something unique about what we bring to the table. IÂm thrilled to be included and look forward to being back on the air full time." Bonaduce has spent a lifetime in show business. His radio career began in Philadelphia and brought him to Chicago, Detroit, New York and Los Angeles, where he was among the most listened to personality in the market. Bonaduce starred in the series The Partridge Family for a better part of the 1970s, and his other television credits include Eight is Enough, That 70's Show, Sabrina, The Teenage Witch, The Drew Carey Show, The Other Half talk show as well as several Partridge Family reunion and dedication programs. DALTON - Windstream Communications, the largest communications and entertainment provider focused on rural America, has announced an agreement with XM Satellite Radio to offer XM Satellite Radio products in Georgia.As part of the pilot program, Windstream is now offering XM Satellite Radio receivers and accessories to all Georgia customers. Equipment will be sold through call centers, technicians and in retail stores in Cornelia, Blairsville, Canton, Cleveland, Commerce, Dahlonega, Dalton, Dawsonville, Hiawassee and Jasper. For added convenience, Windstream customers can purchase XM Satellite Radio receivers at Windstream retail stores and pay later by adding the purchase price to their monthly Windstream bill. Customers must activate subscriptions through XM Satellite Radio to access its more than 170 digital channels of commercial-free music, as well as news, sports and children's programming. "We've talked to our customers and are excited to expand their radio programming options in rural America by offering XM Satellite Radio", said Roger Woziwodzki, Windstream vice president of strategic business development. "This new product will give our customers a variety of excellent channels and expands our portfolio of entertainment products." 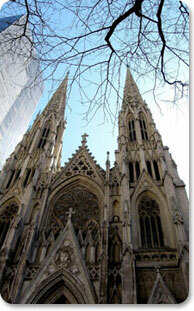 The Catholic Channel (ch 159) on Sirius Satellite Radio will be broadcasting Christmas Midnight Mass and Christmas Day Mass from NYC's historic Saint Patrick's Cathedral, live with Edward Cardinal Egan. XMSR and SIRI are down big this year, so it will be difficult to convince managers to show them as holdings through Dec. 31. Hopefully, January will be a turning point. It's that time of year again. Money managers finish their holiday shopping, pack for the family vacation -- and jump into the quarterly ritual of furiously dressing up their investment portfolios to make them look as good as possible to investors. When firms send out their investor reports after each quarter, they usually list their top holdings, to provide a sense of what stocks they own. To make it look like they picked lots of winners, it appears many money managers, from mutual funds to hedge funds, spend this time of year selling off picks that performed poorly in the previous 11 weeks or so and buying up the quarter's best performers. Some also buy even more shares of their biggest winners, which can drive the price to boost returns, at least temporarily. "I've never heard anybody tell me they do it, but it's like watching 'The OC,' " says Thomas Russo, portfolio manager at Gardner Russo & Gardner, an investment adviser in Lancaster, Pa. "Nobody admits they watch [the Fox television show] and say they're watching PBS instead. But the ratings show something different." Mr. Russo insists he doesn't engage in window dressing, as the practice is known. How successful is this window dressing? Ground zero for satellite radio is someplace where you might not expect it to be: Across the way from the new Bureau of Alcohol Tobacco and Firearms building, a Wendy's and in the crosshairs of some of the worst traffic congestion known to man. There, along New York Avenue on the eastern edge of Washington DC, is XM Satellite Radio's headquarters---one of the most creative looking offices in the area. Motley Fool On SatRad AGAIN! Should They Merge? It's been a rough year for shareholders in satellite radio. Shares of both XM (Nasdaq: XMSR) and Sirius (Nasdaq: SIRI) have lost almost half their value for the year, and both companies continue to lose money. In separate articles issued today, The Motley Fool calls Sirius and XM the worst stocks of 2007. Sector investors hoping for better news as the year comes to a close have received instead a lump of coal as report after report take a look at these equities with a critical eye. Are reports such as these correct in their view? Readers will have to determine that for themselves. There is little doubt that there are some things with each company that are not on the "good news" side of the fence, but there are also positive indicators that exist, and an outlook that sees Free Cash flow Positive and narrower losses happening in the near future. As with anything, investors should look at these equities from ALL SIDES. 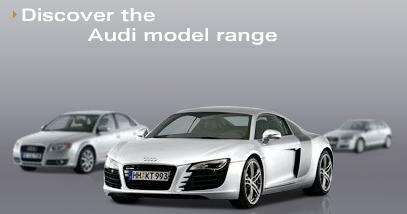 Satellite Radio: Get With The Program...Pre-Owned Cars Is Where It's Happening! The NewsCarMax investors were in the driver's seat Wednesday after the used-car vendor ran over Wall Street's earnings estimates. Shares closed up 9% after peaking at a 52-week high of $55.20 earlier in the session. The Richmond, Va.-based company, which runs 74 stores in 22 states, mostly in the South and West, reported fiscal third-quarter earnings of 42 cents a share, up from 22 cents a year ago. Analysts expected the company to earn 25 cents a share for the three months ended Nov. 30, according to earnings tracker Thomson Financial. There is a new satellite radio, it is smaller than any SDARS receiver ever manufactured and it will appear under holiday trees across the nation. The receiver sizes up at only 3.9” wide x 2.1” tall x .02” thick, and is capable of giving the user either Sirius, XM, or both!!!!! Enter the GIFT CARD and the GIFT CARD EFFECT. While gift cards have been around for quite some time, they have traditionally carried little impact in Q4 for satellite radio. The reason is that in the past, selection of satellite receivers after Christmas has been slim or non-existent. Sirius and XM have both run into short supply in previous years. This year differs. For the 2006 holiday season both Sirius and XM stuffed the retail channel. This, coupled with weaker sales means that satellite radios will be in ready supply in the week between Christmas and New Years. Add to this the fact that the post Christmas week is capped by a weekend, and we have potential for satellite radio purchases and activations that simply have not happened in the past. Will this make a substantial difference? That is an unknown. There is little doubt that a subscription based service makes a more difficult gift than other types of items, but gift cards will facilitate that process, allowing the recipient to choose whatever they desire. Another factor to consider as 2006 comes to a close is that there is 1 weekend left, and that will mean a very busy Saturday and Sunday at retail. Satellite Radio could be the benefactor of last minute gift ideas. Both Sirius and XM have choices that can deliver a receiver and a short term subscription for about $100. Will the GIFT CARD EFFECT be huge? No, not likely, but it will have a small impact on the sector, and should help insure that these companies meet their respective subscriber guidance targets. XM Satellite Radio Yes, XM's stock is up 65% since bottoming out this summer -- but why are the fundamentals singing a different tune? The former Motley Fool Rule Breakers recommendation has had to hose down its year-end subscriber targets three times this year, and retail sales are slumping. The few sales taking place at the consumer-electronics superstores seem to be favoring rival Sirius and its sleek Stiletto model, yet even Sirius has talked down the industry's near-term performance. A lot of the air in XM's shares lately stems from buyout speculation that may never come to fruition. Even if a deal is struck, it may not get regulatory approval. I'm guessing that the Grinch may stick around until attractive add-ons like backseat video materialize in 2008 or 2009. We here at SSG would like to take a look at this point by point. Yes, XM's stock is up 65% since bottoming out this summer -- but why are the fundamentals singing a different tune? The fundamentals may well be swinging to the other direction going forward. XM is on the cusp of CFBE (after capex), and could very well be reporting narrower losses each quarter going forward. This would illustrate stronger fundamentals than Mr. Munarriz is indicating. The former Motley Fool Rule Breakers recommendation has had to hose down its year-end subscriber targets three times this year, and retail sales are slumping. The few sales taking place at the consumer-electronics superstores seem to be favoring rival Sirius and its sleek Stiletto model, yet even Sirius has talked down the industry's near-term performance. Yes, XM did have to lower guidance on a few occasions this year. The equity took a big hit as a result. This, coupled with other bad news took its toll on XM throughout the year. The recent subscriber guidance held the line though, which was indicative that the worst has happened. This could well be a case of the bottom being set for this equity. While it is true that Sirius has had an advantage at retail, XM is still selling units. A lot of the air in XM's shares lately stems from buyout speculation that may never come to fruition. Even if a deal is struck, it may not get regulatory approval. While there has been a run-up that has in part been fueled by buy-out and merger talk, it is not the sole reason for the price increase. Respected professionals who follow the issue believe pretty strongly that regulators could look favorably on a buy-out or merger, and if it were to come to fruition, the shareholders could see a nice benefit in a short time frame. If it were to not happen, then the narrowing losses, and CFBE should be more than enough to keep the stock price stable, and allow for growth going forward. Satellite radio has only scratched the surface of potential subscribers, and satisfaction among those that do subscribe is very high. Improved financial metrics and a strong subscriber base are the fuel that will lead to profits. XM a Sell in 2007? It may well be a buy. Personally I feel that there is a stronger argument for a buy than for a sell at this point. At a bear minimum, it is a hold. To call a sell only 2 weeks prior to the end of the quarter, and 3 weeks prior to CES where there is sure to be news seems foolish in my eyes. Have you finished your holiday shopping? I hope so, because I've got some regifting ideas for you. These are stocks you don't want sitting under your tree, because the year ahead may prove challenging to their already-buoyant share prices. ...XM Satellite Radio (Nasdaq: XMSR) Yes, XM's stock is up 65% since bottoming out this summer -- but why are the fundamentals singing a different tune? The former Motley Fool Rule Breakers recommendation has had to hose down its year-end subscriber targets three times this year, and retail sales are slumping. The few sales taking place at the consumer-electronics superstores seem to be favoring rival Sirius (Nasdaq: SIRI) and its sleek Stiletto model, yet even Sirius has talked down the industry's near-term performance. Thank You for your input to the site. Your article is quite interesting and offers some insight that readers may not have considered. Keep in touch. The video was created by a fan of Sirius, not Sirius themselves. It is an interesting concept, and the fan did a good job in the creation of it. Clearly we did not see an institutional exodus on the subsciber downgradenews. I think the the loss was due primarily to individual investor panic. The most important metric right now is CFBE and if Mel and David confirm that Sirius will reach this watershed mark, investors should be rewarded with at least a recovery of the losses on the revised subscriber news. Note that the comments of each Mel andDavid have recently been more firm on the issue of when CFBE will be reached. Listen closely to the words chosen by each when addressing this issue tomorrow at the conferences. There was some negative impact with the lowered guidance, and investors did not take the news lightly. I agree that CFBE is importantant. It helps validate the business model -IF- CFBE is maintained. i believe that we will see "losses narrow" headlines for both Sirius and XM going forward. This will be welcomed news for those that have followed these equities. You're absolutely correct. Why would a so-called independent firm likeBridge Ratings feel the need to quote BOA? Perhaps you could take a look back andcheck their previous projection performance. It's beyond me how they can predictoverall sub adds when they have no insight into OEM, Online retailers, andSirius.com. When it comes to overall subs, I'll stick with SIRI's recentlyreitertated guidance. The key to information such as Bridge and NPD is that people understand what goes into collecting the data, and what that information is indicative of. New site sux. I'll use GSI to see if you have anything worth reading or toget to the linked sites I have become used to from your list. Good Luck. We have been modifying the site for some time now, and perhaps it is better tuned to what you are looking for. We have had a lot of positive feedback, and always take reader input seriously. Please drop us a note, and let us know what specifically you did not like. The above is at best poorly written. The Inno allows you to record 50 hours ofindividual songs or 50 hours of content. Agreed. Thank You for the clarification. Agreed. The outstanding shares for both companies have had some changes. As always, we highly recommend that investors consider float as well as the fully diluted count. Thanks for the comment. Yesterday XM Satellite Radio brought on a new member of the Board of Directors, and also issued shares to her as well as some of the senior management. The shares that XM issued differ slightly from the types of transactions investors recently saw from Sirius. With Sirius the shares were options, which had an exercise price, and could expire unless actions were taken by the individuals. The shares issued by XM are restricted shares, and had no cost to the recipient whatsoever, and thus, the need for a paperless transaction does not exist. Joan Amble - 10,000 shares at a cost of $0 - 10,000 - Joan now holds 10,000 shares of XM. Dara Altman - 60,000 shares at a cost of $0 - These shares are restriced, and the restricted stock vests in three equal annual installments beginning on December 15, 2007. Dara now holds 161,300 shares of XM. Stephen Cook - 50,000 shares at a cost of $0 - These shares are restricted, and the restricted stock vests in three equal annual installments beginning on December 15, 2007. Stephen now holds 183,767 shares of XM which excludes 480,000 shares underlying vested and unvested stock options held by the Reporting Person. Joe Euteneuer - 60,000 shares at a cost of $0 - These shares are restricted, and the restricted stock vests in three equal annual installments beginning on December 15, 2007, Joe now holds 258,488 shares of XM which excludes 500,000 shares underlying vested and unvested stock options held by the Reporting Person. Joe Titlebaum - 25,000 shares at a cost of $0 - These shares are restricted, and the restricted stock vests in three equal annual installments beginning on December 15, 2007. Joe now holds 119,254 shares of XM which excludes 380,000 shares underlying vested and unvested stock options held by the Reporting Person. Erik Toppenberg - 75,000 shares at a cost of $0 - These shares are restricted, and the restricted stock vests in three equal annual installments beginning on December 15, 2007. Erik now holds 202,061 shares of XM which excludes 100,000 shares underlying vested and unvested stock options held by the Reporting Person. "Your bias against Xm continues to show. Can't you guys get anything correct? Or at least get all the details out there correctly instead of more spin? Your blog states the following,"The shares issued by XM are restricted shares, and had no cost to the recipient whatsoever, and thus, the need for a paperless transaction does not exist." This is not correct, or at least is very misleading. The shares vest in 3 equal parts over the next 3 years. When each amount vests, there will be a taxable situation in which the holder must pay capital gains taxes on the difference between the grant price and the price on the day of the vesting. Which is when you typically see employees do paperless transactions to cover the taxable event. There will very much be a "cost" to the recipient when they vest. Xm began granting restricted stock in place of stock options to its management about a couple years ago, just as many companies are doing today around the country. YOUR LINK How you can even possibly put this event as "slightly different" than what occured with Sirius mangements' cashless exercise of expiring stock options recently, is beyond comprehension. The two situations aren't even remotely similar. To claim that the difference between the two is "slight" is downright spin. Your comparison of the two shows just how desperate you are to spin all things Sirius. And why your "blog" is most likely one of those new "flog's" that are coming to light these days. Plus the fact that you dont allow public comments on your commentaries speaks volumes toward the biases of your postings, and just how out of control your flog really is. YOUR LINK Just Ask Sony!" I guess the best way is to take this comment one issue at a time. I have both services. I have both equities. As a consumer I do e a preference with regards to which satellite radio service I listen to most. Perhaps your perception of this site makes you feel as if there is a bias. The article was simply pointing out the fact that the transactions happened, and how it differs from the stock options transactions of sirius a few weeks ago. people love to make comparisons of these companies, and often the comparisons simply can not be made because of the difference in how things are structured does not allow for an apples to apples look. This is not correct, or at least is very misleading. The shares vest in 3 equal parts over the next 3 years. When each amount vests, there will be a taxable situation in which the holder must pay capital gains taxes on the difference between the grant price and the price on the day of the vesting. Which is when you typically see employees do paperless transactions to cover the taxable event. There will very much be a "cost" to the recipient when they vest. The point of the article was to go over how the transactions differ, and not looking at 1, 2, or three years down the road, but since you want that level of deatil, I would be happy to assist. You charge that my statement was misleading, but it is not. The issuance of restricted shares does not trigger a paperless transaction at the time the shares are issued (in this case December 19). The holder simply has those shares set aside for them, and the shares will vest as stated (in this case over the next three years. Your comment that there will be a cost is well off base. The holder has NO COST for the shares. That clearly sjhows in the SEC documentation. At the point that the shares vest, their tax papers will aslso CLEARLY SHOW that there is NO COST for the shares. This is called the COST BASIS, and these shares all have NO COST BASIS. you are correct that Uncle Sam will want his portion of the CAPITAL GAIN. The CAPTIAL GAIN is determined by the price AT THE TIME OF VESTING less the COST BASIS. The COST BASIS is $0. Thus, the CAPITAL GAIN would be the share price multipleied by the number of shares that vest. At that point in time, the holder may elect to do a paperless transaction. All of this goes into more detail than I intended, but at the end of the day there is NO COST to the shares. There are indeed many companies that issue restricted grants instead of options. There are also many companies that use options, and companies that use a combination. How you can even possibly put this event as "slightly different" than what occured with Sirius mangements' cashless exercise of expiring stock options recently, is beyond comprehension. The two situations aren't even remotely similar. To claim that the difference between the two is "slight" is downright spin. The difference between the two events is in options to buy vs. the issuance of restricted shares. There are many factors involved in the determination of which way to issue shares. The bvottom line is that whether they are options or grants, they are designed as compensation to employees, and they are shares that will increase the float. There is no "spin" involved. Both Sirius and XM compensate employees in one form or another with stock. For you to claim a "vast difference" is simply not correct. The shares are issued as compensation, the float increases. This is not a debate about the number of shares, the value of the shares, nor whether the individuals deserve that number of shares. I had no intention of taking the issue into next year, because at this point it was not material to the intent of the article. Yes, next year 90,000 shares will vest, and some of the holders may well use a paperless transaction to pay their taxes. If XM were to be at $20, the capital gain involved would be about $1,800,000. If taxes were about half, then 45,000 shares could well be sold to cover the taxes. this however is conjecture at this point, and that was something that is better left until this time next year. Your comparison of the two shows just how desperate you are to spin all things Sirius. And why your "blog" is most likely one of those new "flog's" that are coming to light these days. Plus the fact that you dont allow public comments on your commentaries speaks volumes toward the biases of your postings, and just how out of control your flog really is. Your Link Just ask Sony! Again, you seem to want to insinuate that there is some sort of bias here, and then go on to insinuate that SSG is a "flog" rather than a "blog". If you are insinuating that SSG has any connection to Sirius or XM, you are quite wrong, and well off base. SSG has no relationship whatsoever with either of these equities. Your comment about public comments.......Well, here is your comment alive and well in living print. You can also email us at satellitestandard@gmail.com, or use the "SSG Shout-Out" link to submit your comments. We are more than happy to publish reader comment provided they are on the subject and do not contain profanity. SSG makes efforts to balance our coverage. A lot of what we do happens from reader submissions. More readers tend to submit information about Sirius than for XM. Additionally, because most of my satellite radio listening is on Sirius, I tend to have more day to day comments about what is playing on Sirius. When I do listen to XM, I am more than happy to cover it. The same is true for other contributors. In addition, we would always love to add additional people to the site. Readers can submit articles for consideration, and anyone interested in participating is welcomed to contact us. Thank you for your readership, and thank you for your comments. It is my hope that the clarifications delivered here are to your satisfaction. Happy Holidays. Here are some things to ponder as 2006 comes to a close: Now that the pair trade "premium" between XMSR and SIRI has evaporated, and the tax loss selling season has come and gone, where is the opportunity? With just 7 trading days left in 2006, will the shorts feel compelled to cover to lock in profits or will traders be complacent and maintain their positions? Will the potential for positive announcements in January at CES and the Auto Show reverse the downward trend, and propel the "Dogs of the NASDAQ" into next year's winners? Will SatRad, the laggards of the stellar media sector, finally be recognized for their growth as OEM installs increase and new hardware hits the market? Although 2006 has been a disappointing year for investors in SatRad stocks, we look forward to a bright 2007 and beyond. As Apple co-founder, Steve Wozniak says, "Once you encounter it, it is a one-way street. You go through it and you don't back out." Despite tough year-over-year comparisons, SatRad growth in 2006 has still been very strong, jumping almost 50%, from 9.3 million subscribers to an estimated 13.8 million by year end. Projecting exactly how strong has left many analysts scratching their heads. How accurate the widely followed surveys, ie, Bridge and NPD? These results only cover Brick & Mortar Retailers (B&M's) like Best Buy and Circuit City, but do not include the non-traditional retailers (NTR's) like TSS-Radio, Skyboxusa and SRS, which are grabbing an increasing market share. B&M's are claiming a slowdown in sales, however, I wonder if pricing has anything to do with this. Based on advertised prices, the NTR's seem to be selling at 20-30% discounts. For example, the Stiletto 100 is approximately $380 ($340 plus tax and shipping) at the B&M's while the same item is $300 (no tax, free shipping) at the NTR's. The Inno is $240 at the NTR's and $330 ($290 plus tax and shipping) at the B&M's. In addition to significant cost savings, many consumers chose to shop at the NTR's because their informed staff actually understand the products they are selling. We will get a better idea of the NTR's impact, and the accuracy of NPD and Bridge surveys when subscriber numbers are released in early January. Until then, the analysts might be stabbing in the dark. He collected folk songs in villages in his native China, then planted rice during the Cultural Revolution. Later, he played music on the streets of New York to buy food. Now, composer Tan Dun is making his Metropolitan Opera debut. "The First Emperor," starring Placido Domingo in the title role of a production with a reported cost of up to $3 million, has its world premiere Thursday night — on stage and in cyberspace. With a 75% market share, Apple's iPod dominates the MP3 market. But, competitors aren't shying away. We look at the latest portable satellite radio offerings from XM and Sirius, and MP3 players from Sansa and Microsoft with features like voice recorders, WiFi and online music subscriptions. Privately held AMTC is headquartered in Clearwater, FL. AMTC is the exclusive provider of SIRIUS Satellite Radio (NASDAQ: SIRI) for business use, under the brand name SIRIUSBusiness. SIRIUSBusiness includes 67 channels of 24-hour, commercial-free music, with all music royalties paid, and presents the first meaningful competition to Muzak in the business music arena. AMTC also manufactures a full line of professional sound equipment and provides TelAdvantage, the world’s most recognized brand of telephone “on hold” messaging products and services. Since 1991, AMTC has served over 15,000 customers around the globe, including names like Bally Total Fitness, Bridgestone-Firestone, Continental Airlines, DaimlerChrysler, Ford Motor Co. and Morgan Stanley. For additional information, visit www.amtc.com Starting as a single store in Hull, Iowa, the Pizza Ranch, which specializes in pizza and chicken, has grown steadily and now has franchises in eight states. 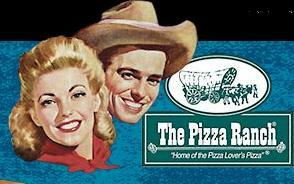 Pizza Ranch is one of the largest pizza chains in the Midwest, and is now the largest regional pizza chain in Iowa, Minnesota, North Dakota and South Dakota. For additional information, visit www.pizzaranch.com Chat in real-time, all the time - get Windows Live Messenger! This won't be much of a holiday to remember for satellite radio. Sirius (NASDAQ: SIRI) and XM Satellite Radio (NASDAQ: XMSR) have already lowered previous year-end subscriber targets, and weakness on the retail front is to blame. Retail sales of satellite radios have fallen for three consecutive months through October. The momentum is apparently not improving as we dig into the critical holiday selling season. In addressing the crowd at the Credit Suisse Media & Telecom Week conference earlier this month, XM Chairman Gary Parsons was realistic in his assumptions. His company's channel-checks through consumer-electronics stores found that retailers were looking at 5% improvement in comps, but satellite-radio sales were yielding to other big-ticket items, such as high-def televisions and next-generation game consoles. NASCAR is shifting to Sirius, and the buzz is starting to happen. You can even see the NASCAR influence on Raw Dog channel 104. Raw Dog is promoting the new "RAW DOG 500". This special event kicks off this weekend, and features the top 500 comedy clips of all time as voted by the listeners. The action starts on December 23rd at midnight and runs through 1:00 PM on Christmas day. Sirius subscribers will be able to hear some side-splitting routines as Raw Dog helps to welcome NASCAR. - Audi Canada and SIRIUS Canada today announced an e Sirius Satellite-SIRI and Audi Canada announce long-term agreement - Audi Canada and SIRIUS Canada today announced an exclusive long-term agreement that will make SIRIUS Satellite Radio receivers a factory option in virtually all Audi vehicles sold in Canada. Audi Canada will offer factory-installed SIRIUS Satellite Radio receivers with a three month subscription to SIRIUS Canada's premium 110 channel satellite radio service. WASHINGTON, Dec. 19 /PRNewswire/ -- XM Satellite Radio (Nasdaq: XMSR - News) today announced that Joan Lordi Amble has joined the company's board of directors. Ms. Amble is Executive Vice President and Corporate Comptroller for American Express Company. 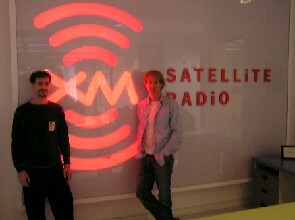 The announcement was made today by Gary Parsons, Chairman of XM Satellite Radio. "We are very pleased to welcome Joan to the XM Board," Parsons said. "With her experience at American Express, GE, Ernst & Young, and the Financial Accounting Standards Board (FASB), she brings considerable financial expertise and insight to the board." "I look forward to working on the XM Board and Audit Committee as XM continues to grow and develop this exciting new consumer entertainment service," said Amble. As a senior executive at American Express, Ms. Amble is responsible for all controllership finance functions across the four major divisions of the company. Her accountabilities include oversight of all aspects of the company's global reporting, control, technical advisory and financial shared service center functions. From 1994 to March 2003, Ms. Amble served as vice president and controller for GE Capital, where she played an important role in designing the company's control strategy. From 1992 to 1994, she served as Chief Financial Officer for GE Commercial Real Estate. Prior to joining GE, from 1984 to 1989, she specialized in pensions and other financial instruments for the Financial Accounting Standards Board (FASB). She also spent seven years in public accounting with Ernst & Young. Ms. Amble, a CPA, obtained her undergraduate degree in Accounting from Pennsylvania State University, and attended graduate school at University California, Los Angeles (UCLA). The Ford Motor Company of Canada and SIRIUS (SIRI) Canada announced that SIRIUS Satellite Radio receivers will become a factory-standard feature in virtually all Ford and Lincoln vehicles sold in Canada. By the end of2007, nearly every new Ford vehicle sold in Canada will come equipped with SIRIUS Satellite Radio and a subscription to SIRIUS Canada's premium 110 channel satellite radio service. XM Satellite Radio, the nation's leading satellite radio company serving the XM Nation of more than 7 million subscribers, today announced the completion of its new two-satellite broadcast system. On Friday, XM began broadcasting through its recently launched XM-4 satellite (known as "Blues") manufactured by Boeing Satellite Systems International, Inc. The combination of "Rhythm (the XM-3 satellite launched in early 2005)" and "Blues" provides a solid foundation to deliver a full complement of digital broadcasts to the XM Nation across the next two decades. "The Rhythm and Blues satellites form the most powerful and stable delivery system in satellite radio," said John Dealy, XM Senior Advisor who leads the Company's Satellite Systems Team. "Both satellites are healthy and expected to deliver excellent service beyond their contract requirement of 15 years, providing the richest entertainment content to XM subscribers for the long-term." Rhythm and Blues replace XM's original satellites, "Rock" and "Roll," launched in 2001, which will serve as in-orbit spares for the near-term. Boeing Satellite Systems International, Inc. is the world's leading manufacturer of government and commercial communications satellites.